Zenith is the younger son of Davked Splitershield and Regent to the Malachite Hold. While Zenith’s older bother, Xerlon, and heir to Splintershield Hall and a seat on the Cauldron City Council, has commanded most of the attention in the family, Zenith has made efforts in recent years not to be overlooked. Fifty years ago, Xerlon made big news in the Cauldron area by commanding a large cadre of mercenaries in the jungles surrounding the city in order to locate the lost shrine to Moradin, god of the dwarves. Built at the time of Cauldron’s founding, the Holy Shrine of Moradin had been lost to the hungry vegetation of the Amedio Jungle. Xerlon, driven by a bout of religious zeal, took his band of loyal followers and hired a small army of mercenaries to comb the jungle outside the city . The shrine was finally re-discovered and the bloodthirsty pack of bugbears who had made the shrine their home were eventually annihilated. The shrine had remained in operation for a full twenty years after that until the local Caldronites moved their Moradin worship to the more accessible Splintershield Hall in the city itself. Now the jungle has reclaimed the lost shrine once again. In more recent years, Xerlon has led his sizable army of followers against the mighty red dragon, Hookface, and his brood. Xerlon has not returned to Cauldron in over two years, yet word continues to make its way back to the city that the sturdy dwarf and his companions seem to be holding their own against the draconic threat. It is rumored that a large basecamp and trading post has been established at the foot of the small volcanic peak that Hookface has holed up in. Zenith, on the other hand, would not be upstaged by his elder brother and has fearlessly gathered his own gang of followers and re-taken the original dwarven fortress, the Malachite Hold. Most recently, the Moonhowlers have heard word of Zenith Splintershield. 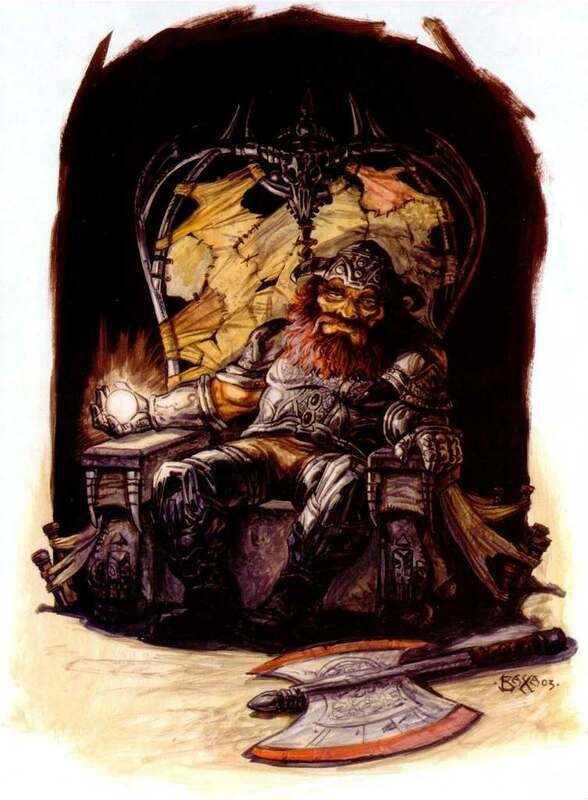 The enigmatic dark stalker, Yathaub, explained to them that on his journey up from Aglarond he and his wife, Laila Daub and his small host of escorts, joined up with a larger force of druegar and goblinoids, led by the half-dwarf Kazmojen. As they made their way through the dangerous tunnels on the way to the surface, they ran afoul of a large group of upland dwarves led by Zenith Splintershield who was, apparently, on his way downward upon some mission to cleanse the Underdark of evil. The battle was fierce and heavily losses were suffered on both sides. In the end, Yathaub and Kazmojen escaped with a few survivors but Laila Daub was killed in the battle. Yathaub has vowed revenge on the dwarf, Zenith, and his kin. Braenna also met very briefly with Zenith’s father, Davked, where she learned that the ancient dwarf holds no love in his heart for his younger son.